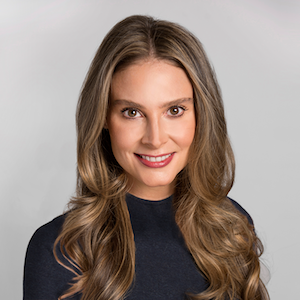 The Saudi Entertainment Ventures Company, fully owned by the Saudi Arabian Public Investment Fund, has appointed Jennifer Hanser as executive vice president, strategy, mergers and acquisitions. Hanser joins the rapidly expanding entertainment group after the organisation recently announced plans to create the first 100,000sq.m purpose-built entertainment complex in the Kingdom. Hanser’s two-decade career in the US spans some of the world’s most well renowned organizations. Beginning in the year 2000 as a financial analyst with Deutsche Bank, she has enjoyed success working with Merrill Lynch, AOL, FIFA, MLB Advanced Media and Sony Music Entertainment. The English and Spanish speaking executive holds a BA in Latin American studies from John Hopkins University. Bill Ernest, CEO of SEVEN said: “Jennifer joins us as we develop the most exciting, wide-ranging and ambitious plans for a new era in entertainment across the Kingdom. Her wide experience at all levels of seniority within some of the world’s most well-known organizations – from Wall Street to Major League Baseball – gives her some unique and powerful insights into modern business strategy. “She will hold responsibility for ensuring our investments and project executions meet our vision and mission to be the leader in Saudi Arabia’s burgeoning entertainment ecosystem,” Ernest added. The PIF expects SEVEN’s national projects – beginning with the Riyadh-based entertainment complex and nationwide movie theatres – to welcome more visitors every year and provide more jobs.